I love my gadgets and when my Sony Bluetooth headphones snapped in my hands I was extremely disappointed, not just because of the cost involved in replacing them but also the prospect of tackling my way through the minefield of hundreds of makes and models just to find a good quality pair of wireless headphones with active noise cancellation and at the same time providing a decent sound quality. My Sony headphones cost me around £70 having been reduced from around the £140 mark but I didn't want to spend this much again so I foolishly bought a pair of wireless headphones that cost me £20 naively expecting for them to do the same as the Sony's but of course they didn't. The sound quality was okay, what you would expect for a £20 pair of headphones but no where near as clean as the branded headphones I had before. What did I expect? 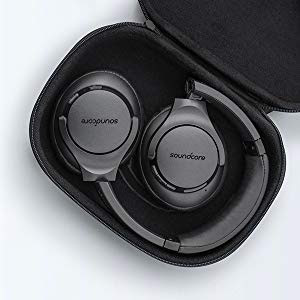 So back to the drawing board and last week I was browsing "Hot UK Deals" and a deal came up for Anker's Soundcore Life 2 Over-Ear Bluetooth Headphones. 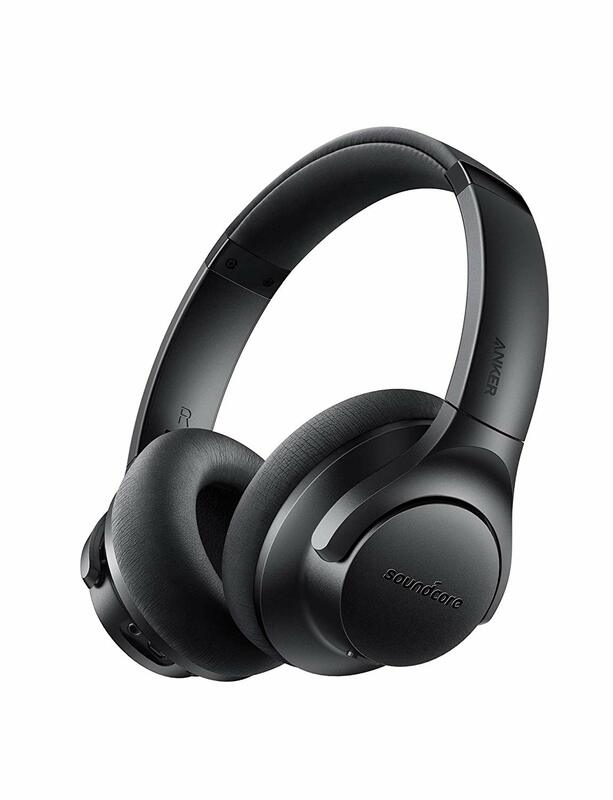 They had active noise cancellation with over 30 hours of ANC (active noise cancellation.) They sounded perfect! I scoured through the comments section of the site and it was mostly of high praise and in particular for the company. In fact I had bought a few items from Anker over the years and never been disappointed and apparently their customer service is second to none. I decided to order them from Amazon, and anyway if they turned out to be useless then I could always send them back, one of the beauties of Amazon. Two days later the headphones arrived. Opening the box I was presented with a rather impressive hard case which was home to the headphones. I twisted the headphones into shape and plopped them on my head. I was impressed how comfortable they were and the soft memory foam seemed to mould around my ears and even without switching them on they seemed to block out the ambience from around. There were instructions included with clear diagrams showing what each button does and a separate card stating that if you have any problems to contact them immediately, a nice touch. I know I should have charged them up first but I was eager to try them out so after an easy task of pairing them up with my laptop I wanted to find out what the sound quality was like. Straight away, the noise cancellation kicked in and with the TV on in the background it was pretty evident that they were working rather well. I couldn't hear a word that Richard Osman was saying on the game show "Pointless" as I watched his lips move with no sound appearing. On to my first test which is the Vue Cinema intro that has been uploaded to YouTube and first impressions were good...Very good in fact. On to Spotify and a few random titles including "The Greatest Show" from "The Greatest Showman." (I know, I know but it's a good test because of the clear vocals.) I swear I picked up instruments on the track that I had not heard before. The sound has a balanced tone and there is a button on the headphones to toggle extra base. I listen to a lot of soundtracks and a good test was John Williams "prologue" from "Harry Potter and the Philosopher's Stone." The single instrument introduction really struggled on the £20 headphones I had bought before with a scratchy noise on the higher notes. On the Anker's Soundcore Life 2 Over-Ear Bluetooth Headphones the track played perfectly with no distortion or a feeling of too much treble on instruments. On to gaming and "Skyrim: Special Edition." The voices from NPCs in various directions were easy to make out and I can tell these are going to be great for gaming. Now there is a mic built in and I've not tested this as these are going to be used primarily for playback but if I do use them then I will update this review when I do. I have to say I've been using these for a week now and I've come to the conclusion that these are better than my now broken Sony MDR-ZX770BN headphones, I only hope they last longer too. Top marks to Anker for these headphones that (at the time of writing this) were priced at £46.99 down from £79.99. The sound quality is of top quality and as previously mentioned they have a perfectly balanced sound with the option to increase the bass if required. They are extremely easy to setup via the Bluetooth and have an option to play via the traditional AUX cable if required. Just be aware that wired playback doesn't provide noise cancellation or extra bass but will give you extra playback from a charge. The charge is via a standard micro USB cable, the same you would use for your mobile phone. 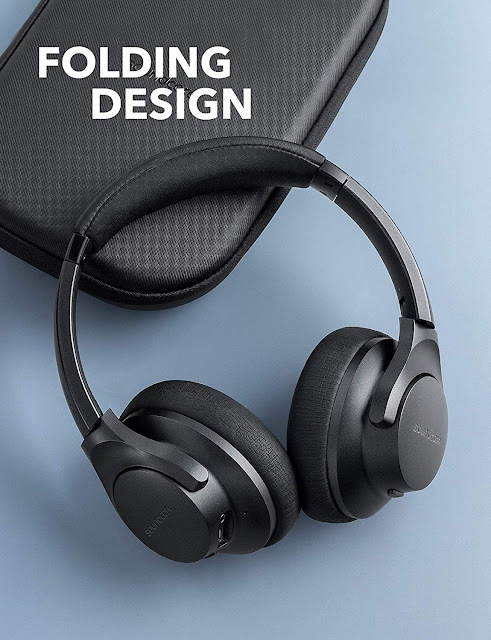 I can't recommend these headphones enough and for me they have to be one of the best pair of ANC noise cancelling headphones you can buy for under £50. I want to add that this was a genuine review and not endorsed by any company, I wasn't sent the headphones for review and did actually buy them myself from Amazon. I was genuinely so impressed with them that I felt a review was in order.